​With the new European General Data Protection Regulation coming into effect on 25 May, we would like to give you an overview how we process your data. A German version of this text is provided below the English text - please scroll down. Eine deutsche Version des folgenden Textes findet sich nach der englischen Version - bitte nach unten scrollen. The following notes are intended to give you a concise overview of how and for what purpose we use your data, and what rights you have in this context. As we have improved some processes with respect to data management in connection with the General Data Protection Regulation (GDPR) coming into force on 25 May 2018, the following descriptions are based on this optimised process. If you as a young scientist have participated or intend to participate in the Lindau Nobel Laureate Meetings (hereafter: Lindau Meetings), you will have sent us extensive information (since 2004) through an online platform on your academic career as well as organisational information on your travel plans and your participation. Supplementary data may have been sent by email or other electronic means. As part of our alumni research, we also try to identify contact details for former participants from information freely available on the internet. We get in touch with all identified contacts in writing before re-publishing such details. 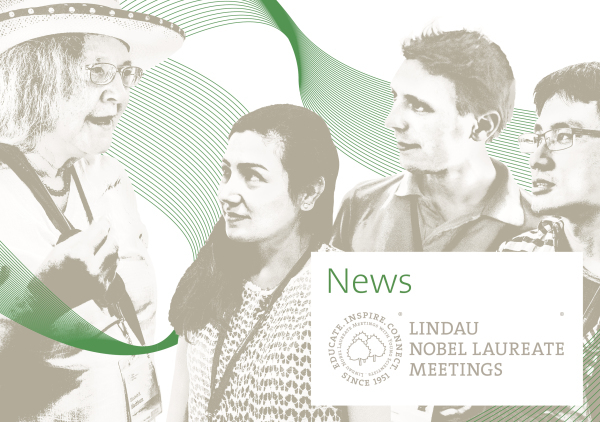 If you have participated or will in future participate in a Lindau Meeting as a Nobel Laureate, you will have sent us various data in the process of liaising with us, e.g., on scheduled events in the programme or your travel plans. We also store generally available data with respect to the Nobel Prize as well as a curriculum vitae which we sent to you for approval with a photo taken by the photographer Peter Badge as part of the “Nobel Portrait” project. If you have participated or will in future participate in the Lindau Meetings as a media representative, you will normally have sent us some basic data on yourself and your attendance as part of the accreditation process. If you have participated or will in future participate in the Lindau Meetings in a different capacity, e.g., as a guest, you will have sent us information regarding your travel plans and attendance via different channels, primarily via an online platform. If you do not attend the Lindau Meetings but, for example, you have subscribed to this newsletter by registering on our website, we will only have stored your email address as you have provided. We use the data collected mainly to organise your attendance or your travel plans. We use details of programme contents to inform all participants, for example, in the meeting programme. We also use the data of young scientists sent as part of the application process to select participants. We process the data sent to us or collected by us a) to meet contractual obligations (Article 6 (1b) GDPR), b) on the basis of your consent (Article 6 (1a) GDPR) and c) as part of the process of weighing up interests (Article 6 (1f) GDPR) and on the basis of legal requirements (Article 6 (1c) GDPR), e.g., in the event of legal disputes, to prevent crimes or on the basis of legal or official requirements. The data recorded were and are usually based on what you have provided as part of an application, registration or accreditation process, prior coordination, the conclusion of a contract, subscription to the newsletter or other agreements. If data were transmitted via our online application, registration and accreditation platform, you have in each case consented to the processing of this data by agreeing to our terms of business and our data protection guideline. After you have attended a meeting, we gradually reduce the data transmitted to the bare minimum, i.e., we erase data that we no longer need (e.g. for legal or tax reasons). Basic data on your participation are retained to make them available for any historical retrospective in later years or to maintain the continuity of a business relationship or correspondence. In the case of young scientists and if applicable, Nobel Laureates who attend the Lindau Meetings, we transfer part of the data to our alumni network where you can administer the data yourself. The basic data of young scientists (usually name, age, nationality, university, degree course) and their contact details (usually email address) may be passed on to supporters of the Lindau Meetings if they facilitate participation through direct financial support. Such data may also be passed to media partners if this serves to identify appropriate participants for reports on the Lindau Meetings. The basic data of all attendees and participants (usually name, date of birth) may be passed on to state security agencies in order to guarantee security during the event. As part of contract data processing, your data will be processed, e.g., by web hosts, newsletter providers, app suppliers and similar technical service providers to enable them to offer their services (e.g. registration platforms, newsletter, app). In accordance with the provisions governing closed contract data processing agreements, such service providers may not use the data for their own purposes or pass them on. Most data are stored and processed within the EU or EEA. If service providers in third countries are used, they are obliged by contract data processing agreements to observe data protection standards in accordance with the GDPR. You have a right of access with regard to data relating to you stored by us (Article 15 GDPR), a right of rectification (Article 16 GDPR), a right of erasure (Article 17 GDPR), a right to restrict processing (Article 18 GDPR), a right of data portability (Article 20 GDPR) and a right of objection (Article 21 GDPR). Please note, for example, that the right of erasure can be restricted by provisions in the GDPR or the Federal Data Protection Act (BDSG), either through statutory regulations governing data storage or our legitimate interest in guaranteeing the accuracy and integrity of the data. Data may also be stored if you use our website and online services, especially in two instances: as a result of cookies and through the use of Google Analytics. However, we do not collect or process any personal data in the process. Cookies are saved on your computer (not on ours). Data collected by or for Google Analytics are anonymised before any further use. You can reach the Data Protection Officer at the same address. Please address enquiries by email to: dataprotection@lindau-nobel.org. If you are receiving this message, your email address is registered for our monthly newsletter. You may unsubscribe from this distribution list any time by clicking the "Unsubscribe" link at the bottom of this email - or by clicking here. Mit den folgenden Hinweisen möchten wir Ihnen einen kompakten Überblick darüber geben, wie und wozu wir welche Ihrer Daten verwenden, und welche Rechte Sie in diesem Zusammenhang haben. Welche Daten im Einzelnen erhoben wurden und wie sie verarbeitet und genutzt werden, hängt vorwiegend davon ab, wie sie mit uns in Beziehung stehen. In der folgenden Übersicht sind die häufigsten Fälle überblicksartig genannt. Für detaillierte Informationen verweisen wir auf unsere Datenschutzerklärung. Da wir im Zuge des Inkrafttretens der DSGVO (europäische Datenschutz-Grundverordnung) am 25. Mai 2018 einige Prozesse mit Blick auf die Datenverwaltung verbessert haben, beziehen sich die folgenden Schilderungen auf diesen optimierten Prozess. Wenn Sie als Nachwuchswissenschaftler (Young Scientist) an den Lindauer Nobelpreisträgertagungen (im Folgenden: Tagungen) teilgenommen haben oder teilnehmen werden, so haben Sie (seit dem Jahr 2004) umfangreiche Informationen über ihren akademischen Werdegang sowie organisatorische Informationen für die Reiseorganisation und Teilnahme über eine Online-Plattform an uns übermittelt. Ergänzende Daten wurden ggf. per E-Mail oder andere elektronische Wege übermittelt. Im Rahmen unserer Alumni-Recherchen versuchen wir zudem, aus frei verfügbaren Informationen im Internet Kontaktdaten zu früheren Teilnehmern zu ermitteln. Vor einer weiteren Veröffentlichung werden alle ermittelten Kontakte von uns schriftlich kontaktiert. Wenn Sie als Nobelpreisträger (Nobel Laureate) an den Tagungen teilgenommen haben oder teilnehmen werden, so haben Sie im Zuge der vorbereitenden Abstimmung verschiedene Daten z.B. zu geplanten Programmbeiträgen oder zur Reiseplanung an uns übermittelt. Zudem speichern wir allgemein zugängliche Daten hinsichtlich des Nobelpreises sowie einen Lebenslauf, den wir Ihnen zur Freigabe übermittelt haben, und ein Foto, das im Rahmen des „Nobel Portraits“-Projektes des Fotografen Peter Badge entstanden ist. Wenn Sie als Medienvertreter (media representative) an den Tagungen teilgenommen haben oder teilnehmen werden, so haben Sie üblicherweise einige Basisdaten hinsichtlich Ihrer Person und Ihrer Teilnahme im Rahmen des Akkreditierungsprozesses an uns übermittelt. Wenn Sie in einer anderen Funktion, z.B. als Gast, an Tagungen teilgenommen haben oder teilnehmen werden, so haben Sie auf verschiedenen Wegen, vorrangig über eine Online-Plattform, Informationen für die Reiseorganisation und Teilnahme an uns übermittelt. Wenn Sie kein Teilnehmer der Tagungen sind, sondern beispielsweise diesen Newsletter durch Eintragung über unsere Webseite abonniert haben, so haben wir nur Ihre E-Mail-Adresse wie von Ihnen angegeben gespeichert. Die erhobenen Daten nutzen wir vor allem zur Organisation Ihrer Teilnahme und ggf. Ihrer Reiseplanung. Angaben zu Programminhalten nutzen wir zur Information aller Teilnehmer, beispielsweise im Tagungsprogramm. Die im Rahmen des Bewerbungsprozesses übermittelten Daten junger Wissenschaftler nutzen wir darüber hinaus zur Teilnehmerauswahl. Die übermittelten bzw. erhobenen Daten verarbeiten wir a) zur Erfüllung vertraglicher Pflichten (Artikel 6, Absatz 1b, DSGVO), b) aufgrund Ihrer Einwilligung (Artikel 6, Absatz 1a, DSGVO) sowie c) im Rahmen der Interessensabwägung (Artikel 6, Absatz 1f, DSGVO) und aufgrund gesetzlicher Vorgaben (Artikel 6, Absatz 1c, DSGVO), beispielsweise bei Rechtsstreitigkeiten, zur Verhinderung von Straftaten, oder aufgrund gesetzlicher oder behördlicher Vorgaben. Die Grundlage dieser Datenerfassung bildeten und bilden im Regelfall Ihre Angaben im Rahmen des Bewerbungs-, Registrierungs- oder Akkreditierungsvorganges, der vorgängigen Abstimmung, des Vertragsschlusses, des Newsletter-Abonnements oder sonstiger Vereinbarungen. Im Falle einer Datenübermittlung über unsere Online-Bewerbungs-, Registrierungs- und Akkreditierungsplattform haben Sie dieser Verarbeitung in jedem Fall durch Einwilligung unseren Geschäftsbedingungen und unserer Datenschutzrichtlinie zugestimmt. Nach ihrer Teilnahme reduzieren wir übermittelte Daten schrittweise auf das jeweils erforderliche Maß, das heißt, wir löschen Daten, die wir nicht mehr (z.B. aus rechtlichen oder steuerlichen Gründen) benötigen. Basisdaten über Ihre Teilnahme bleiben gespeichert, um diese auch in späteren Jahren im historischen Rückblick verfügbar zu halten bzw. die Kontinuität einer Geschäfts- oder Kommunikationsbeziehung aufrecht zu erhalten. Im Falle von teilnehmenden Nachwuchswissenschaftlern und ggf. Nobelpreisträgern übertragen wir einen Teil der Daten in unser Alumni-Netzwerk, wo sie von Ihnen selbst verwaltet werden können. Basisdaten (im Regelfall Name, Alter, Nationalität, Universität, Studienfach) und Kontaktdaten (im Regelfall eMail-Adresse) junger Wissenschaftler können an Förderer der Tagungen weitergeben werden, sofern diese durch unmittelbare finanzielle Förderung die Teilnahme ermöglichen. Des Weiteren können diese Daten an Medienpartner weitergegeben werden, wenn dies zur Identifikation geeigneter Mitwirkender in der Berichterstattung über die Tagungen dient. Basisdaten (im Regelfall Name, Geburtsdatum) aller Teilnehmer und Mitwirkenden können an staatliche Sicherheitsbehörden weitergegeben werden, um die Sicherheit während der Veranstaltung zu gewährleisten. Im Rahmen der Auftragsdatenverarbeitung werden Ihre Daten z.B. durch Webhoster, Newsletter-Anbieter, App-Anbieter und ähnliche technische Dienstleister verarbeitet, um die entsprechenden Dienstleistungen (z.B. Registrierungsplattform, Newsletter, App) anbieten zu können. Diese Dienstleister dürfen gemäß den Bestimmungen geschlossener Auftragdatenverarbeitungsverträge die Daten nicht zu eigenen Zwecken nutzen oder weitergeben. Die Speicherung und Verarbeitung der Daten erfolgt überwiegend innerhalb der EU bzw. des EWR. Sofern Dienstleister in Drittstaaten genutzt werden, werden diese mittels Auftragdatenverarbeitungsverträgen zur Einhaltung eines Datenschutzstandards gemäß DSGVO verpflichtet. Sie haben das Recht auf Auskunft bzgl. Ihrer durch uns gespeicherten Daten (Artikel 15 DSGVO), das Recht auf Berichtigung (Artikel 16 DSGVO), das Recht auf Löschung (Artikel 17 DSGVO), das Recht auf Einschränkung der Verarbeitung (Artikel 18 DSGVO), das Recht auf Datenübertragbarkeit (Artikel 20 DSGVO) sowie das Recht auf Widerspruch (Artikel 21 DSGVO). Bitte beachten Sie, dass z.B. das Recht auf Datenlöschung durch Bestimmungen in der DSGVO bzw. des Bundesdatenschutzgesetzes (BDSG) eingeschränkt sein kann, etwa durch gesetzliche Vorschriften zur Datenspeicherung oder auch unser berechtigtes Interesse, die Korrektheit und Integrität der Daten zu gewährleisten. Durch die Nutzung unserer Webseite und Online-Dienste können ebenfalls Daten gespeichert werden, insbesondere in zwei Fällen: durch Cookies sowie durch die Nutzung von Google Analytics. Hierbei erheben oder verarbeiten wir jedoch keine personenbezogenen Daten. Cookies werden auf Ihrem Computer gespeichert (nicht auf unseren). Daten, die durch bzw. für Google Analytics erhoben werden, werden vor der weiteren Nutzung anonymisiert. Cookies dienen vorwiegend bestimmten Komfort-Funktionen der Webseite; Analytics-Daten dienen uns zur Auswertung, welche Inhalte wie genutzt werden. Sie erlauben uns eine gezieltere Entwicklung von Website-Inhalten. Ausführliche Informationen dazu finden sich in unseren Datenschutzrichtlinien. Den Datenschutzbeauftragten erreichen Sie unter der gleichen Adresse. Anfragen per E-Mail richten Sie bitte an: dataprotection@lindau-nobel.org. Sie erhalten diese Nachricht, da Ihre E-Mail-Adresse für unseren monatlichen Newsletter registriert ist. Sie können sich von dieser Liste abmelden, indem Sie unten "Unsubscribe" klicken oder hier klicken.